We help build the brand and create the visual identity of your company. About branding and visual identity. A successful brand is primarily unique, homogeneous and consistent. Its role is to fix the image of your company in the minds of all those with whom it interacts and to convey in a second the reputation you have gained with them. 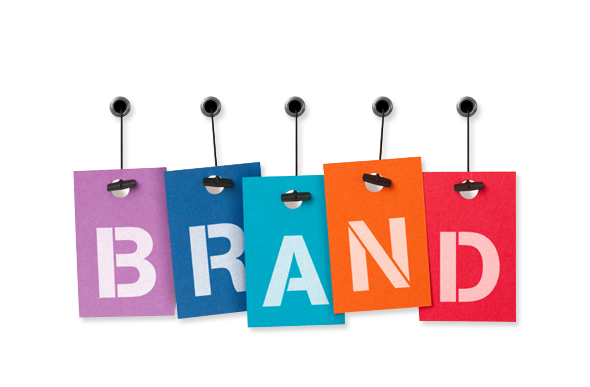 The brand builds slowly, so it is essential that the initial branding strategy is right. The tendency is to build it by inspiring us from corporations because many have the desire to get there. But this is a mistake, the brand of your company must be in perfect correlation with what you do and where you find yourself. Creating a logo is one of the first steps in a branding strategy. It has the role of transmitting by yourself who you are and what you are doing. In creating an original logo even the simplest change can be a huge difference in how you will be perceived. We can create banner patterns for whatever you need. We generally invent them for online marketing (for example, GoogleAdwords ads), but we can also create them for off-line use. Designing a business card is part of the first impression you will make to your clients or collaborators. More than that. When they want to use the services you offer, the business card will be an important element between choosing yourself or calling one of your competitors. Choosing the right photos for your site can make a difference to persuade a visitor to turn to your services or not. The text is extremely important, but some well-chosen photos can help the visitor to form a good opinion about your business in just a few seconds. For your site we can choose the most suitable photos or we can edit yours so that they keep the desired effect, but it does not make it difficult for the site to load for users. Here are some of the benefits of working with DigitalCraft. We will transform your site into a mirror of your business. I'm creating an image that highlights you in front of your competitors. We assure you that your image will be consistent and consistent in all appearances: site, newsletter, social networks, online and offline marketing campaigns. Aesthetic design, personalized to your business. Design is vital to your customers' choices. The words matter, but the way the elements, colors, photos are placed represent the engine of sales growth. We help you have a site that sells through a good visual impact. We are doing everything so that you are easy. We make the logo, webdesign, design for business cards, brochures, envelopes or headers. All you have to do is give us a few guides at the beginning, and then we do everything, including finding a printing house.